Here's some big DC news that's sure to be of interest to Superman fans. 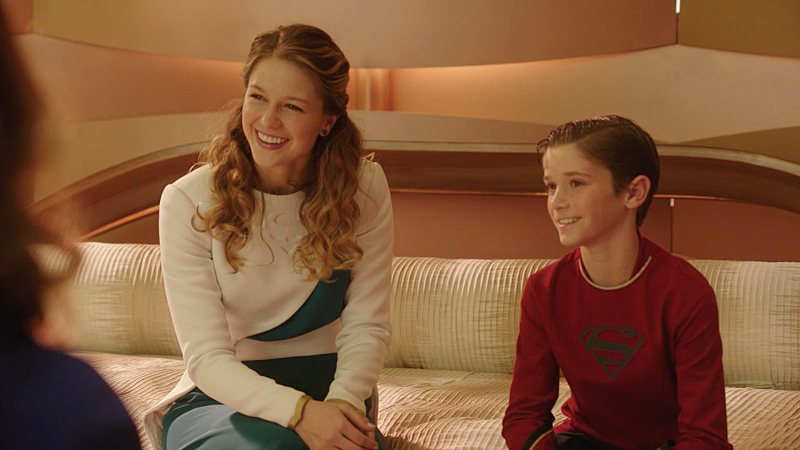 The CBS drama Supergirl has dropped the first photo of the young actor who'll portray young Kal-El. The pic above shows thirteen year-old Daniel Dimaggio on set with series star Melissa Benoist. Daniel DiMaggio will make his first appearance as young Kal-El on episode thirteen of Supergirl, which airs Feb. 8.